A London council is seeking to become the first local authority in the UK to ban buskers who do not have a performance licence. The Royal Borough of Kensington and Chelsea has put forward the proposals in order to clamp down on antisocial behaviour and complaints against street performers. In 2013, Camden council introduced licences for some forms of street entertainment, however Kensington and Chelsea’s licensing proposals cover all categories of busking performance. This includes music, dance, street theatre, magic and circus, as well as mime and living statues. In a report due to be discussed on May 8, Kensington and Chelsea said that despite complaints, it had “proved difficult” for council enforcement to attribute antisocial behaviour – excessive noise, health and safety issues of highways obstruction – to individual buskers. The new proposals suggest introducing licensing across the whole borough, in a move that will provide greater control and make it easier to take action against anyone without a licence or those in breach of it. Licences would be valid for 12 months, and although planned fees have not been outlined, Camden council charges £17 for a standard licence and £47 for a special licence that allows performers to use an amplifier. The report proposes limiting the number of licences to 100, issued on a first-come-first-served basis, with a waiting list system for places. New licences would become available when one is revoked or given up. 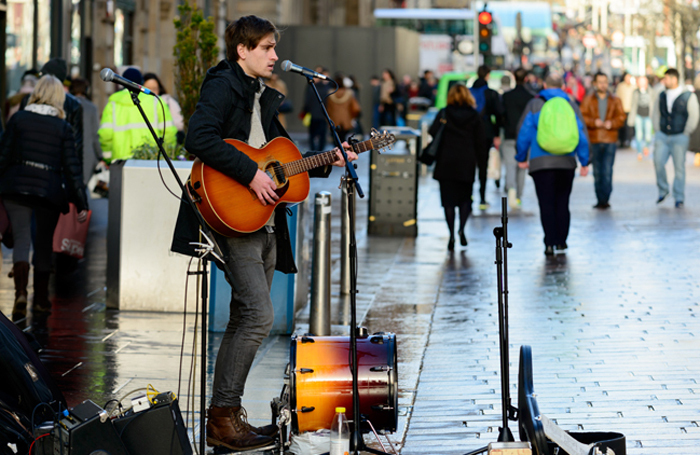 “Requiring a licence will help manage busking and any other forms of street entertainment, reduce the disturbance it is causing for residents and businesses alike and hopefully reduce busking complaints. “A review will be undertaken before the end of the 12-month trial period to determine if it has made a difference to the quality of life for residents and businesses, reduced complaints, and whether it has been easy to administer,” said the report. In 2014, Kensington and Chelsea mooted the idea of introducing licences for Notting Hill’s Portobello Road , however these did not get off the ground after heavy opposition.